Happy New Year from Believe in Bristol! Please remember us for your year-end contributions this holiday season! 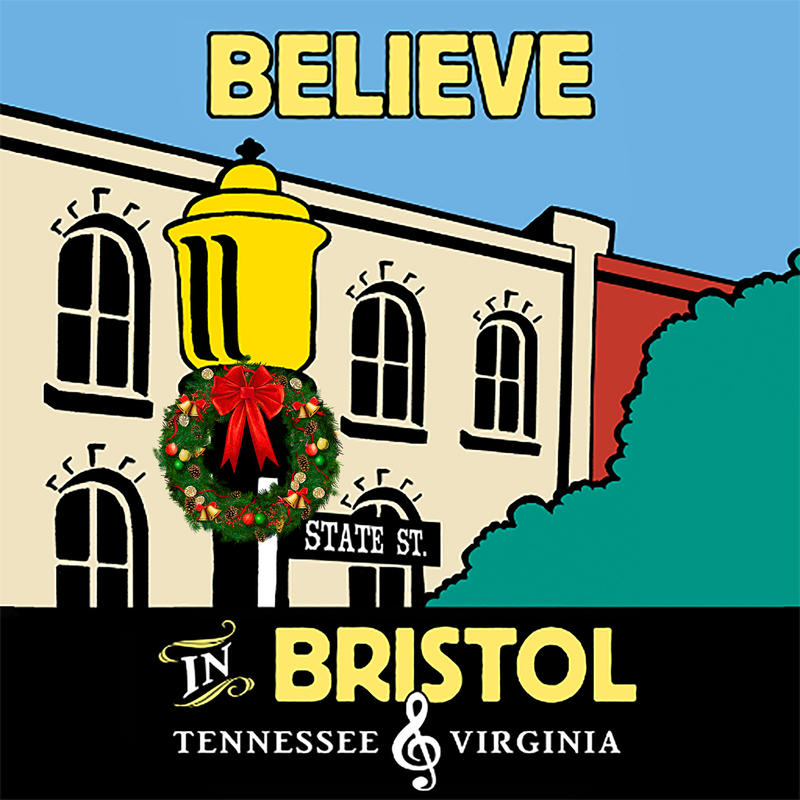 Believe in Bristol is a nonprofit 501 (c) 3 organization composed of dedicated citizens, business owners, government officials and other friends of Bristol who recognize the role a vital downtown plays in preserving and furthering our community’s identity, spirit and economy. As a certified Main Street organization, we work hard to organize broad-based community support and advocacy for our downtown, promote all that our downtown has to offer, preserve and restore the area's classic architectural design, and increase commercial potential through economic restructuring. Historic Downtown Bristol has more to offer every day – more activities, more shops, more homes, more offices, and more life. But Believe in Bristol needs your support to help us continue our revitalization efforts and make our downtown an even better place to live, work, shop and play! It's thanks to people like you that we have made the great strides that we have in recent years. As much as has been accomplished through the efforts of Believe in Bristol and our partners, there is still much to do and a huge amount of potential that remains to be tapped! By donating to, volunteering with, and becoming a member of Believe in Bristol, you can be an active part of Bristol's success story. For more information, contact Believe in Bristol at 276-644-9700 or info@believeinbristol.org. We hope to hear from you soon! Mark your calendars for performances, auditions, and other ways to get involved in your community theatre! Bristol, Tennessee/Virginia, December 2016 – Theatre Bristol is pleased to present its 2017 Season, featuring a year of favorites, including the spectacular "Disney's Beauty and the Beast" directed by Glenn Patterson at the Paramount Center for the Arts this summer. Theatre Bristol's 52nd Season kicks off with a special collaboration between Theatre Bristol and River's Way directed by Dottie Havlik. A timely spring production of "The Adventures of Peter Rabbit and His Friends" follows. It will be directed by Laura O'Bryan and will include school shows and public performances at the ARTspace. Peter Rabbit auditions will be January 29 at 2:30 and January 30 & 31 at 6:30 pm at Theatre Bristol, 512 State Street, Bristol, TN. Casting calls will be February 3. Rehearsals begin February 6. Public performances are March 24, 25, 26, 31, April 1 & 2. Schools interested in public performances may contact info@theatrebristol.org. In June, Theatre Bristol will present Disney's Beauty and the Beast at the Paramount Center for the Arts. Auditions for Disney's Beauty and the Beast will be March 4, 5, 6, 11 & 12 at Theatre Bristol, 512 State Street, Bristol, TN. Callbacks will be March 14. Casting calls will be March 17 & 18. Rehearsals will begin on April 24. Performances will be June 16, 17, 18, 23, 24, & 25. Times and additional important details are available at www.theatrebristol/audition. In the fall, "Tom Sawyer" takes us on an adventure at the Theatre Bristol ARTspace. Auditions for this production, will be announced at www.theatrebristol/audition. In time for the holidays, Theatre Bristol musical favorite "Annie" returns to the stage and Junie B. Jones makes her Theatre Bristol debut in "Junie B. in Jingle Bells, Batman Smells." Please follow Theatre Bristol's site and Facebook page for audition announcements and performance dates for both of these shows. The 52nd Season will also include the annual Youth Service Board production and Theatre Bristol's popular summer camp for children ages kindergarten through sixth grades. Theatre Bristol is currently welcoming show and Season sponsors and souvenir program advertising for the 52nd Season. Please contact info@TheatreBristol.org or 423-212-3625 for more information. Those interested in being a part of the wonderful experience of live performance by bringing it to life over several weeks and working backstage as part of the production team and stage crew are welcome to come to any of the audition dates and discuss their interest and skill. This invitation includes those interested in orchestra, costuming, set design and construction, lighting, sound, stage management, props, publicity, and many other roles. Interested individuals can also email info@theatrebristol.org. All roles are volunteer, as there is no paid staff. No experience is necessary for crew work, though welcome. Year-end contributions to Theatre Bristol may be made to support its mission to offer skills and opportunities to children that increase their self confidence, as well as to provide an outlet for live performance by community members for audiences throughout the region. The vision is that all children experience the unparalleled benefits of live performance and that no child be turned away from opportunities for learning, whether through workshops or attending a show. Theatre Bristol is a 501(c)3 nonprofit organization, a Great Nonprofits 2016 Top Nonprofit, and a Gold-level Guidestar organization. 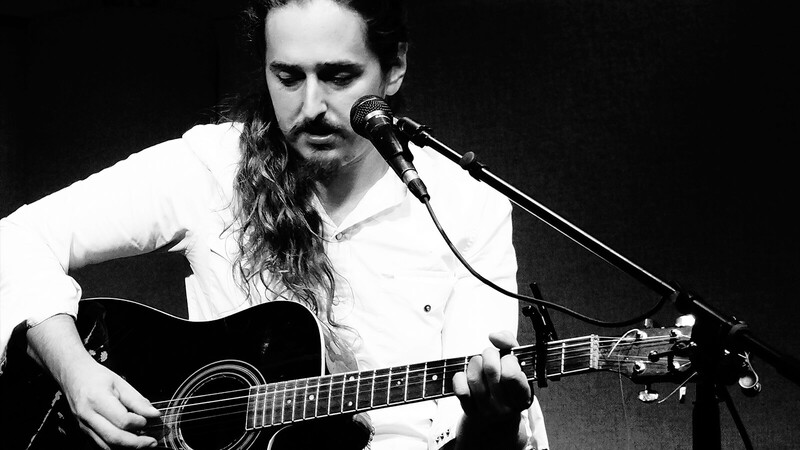 John the Revelator is the solo project of Jake Garrett. Jake is more known for his blues rock trio MasonJar Menagerie and his newly founded record label, DeepRoots Family Records and Productions. Along with MasonJar, Jake plays with 6 other bands regularly. Many of which, he writes the music for. Jake has been writing songs for over a decade, compiling 100’s of songs. John the Revelator acts an outlet for these numerous songs that he isn’t using with other projects. Finish up your 2016 with a rejuvenating yoga practice that will help you end the year with an open heart and mindful awareness. Moving through life with an open heart and mind can cultivate abundance in your life in all the right ways. This practice will be both challenging and restorative as we work through a practice to nourish and enrich our mental, physical, and energetic selves. We will end with a guided meditation and prepare ourselves for another wondrous year to come. 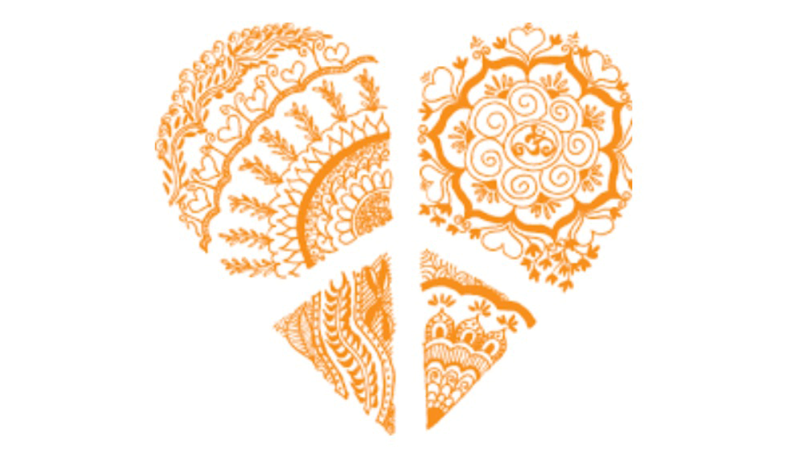 Register by signing up on Wellness Yoga's Facebook event page, in the studio or by calling 276-644-3086 and leaving a message. 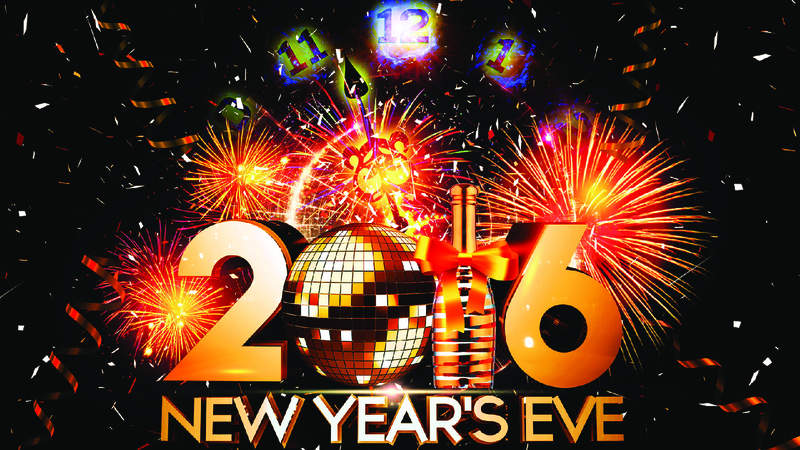 Celebrate New Year's Eve with Studio Brew! Featuring food and beverage pairings and music by The Diamonds and Gerald Sheppard. Get your tickets by visiting www.virginiaground.com or at vgtix.ticketbud.com/virginiaground. 21 & Up Event! A unique sound from this five member acoustic band with songs ranging from drivin' rock to sultry ballads. More sound from an acoustic six-string, a bull fiddle, and a harmonica than seems legal, forming a style that's just Virginia Ground. Virginia Ground is an eclectic acoustic band comprised of talents from Glade Spring, Abingdon and Bristol, Virginia. Band members include lead singer, guitarist, and songwriter Jamen Denton and brother Justin Denton on the drums. Vocalists Jon McGlocklin, Ben Smith with harmonica, and Joshua Young playing the double bass round out the energetic show performed by this unique quintet. 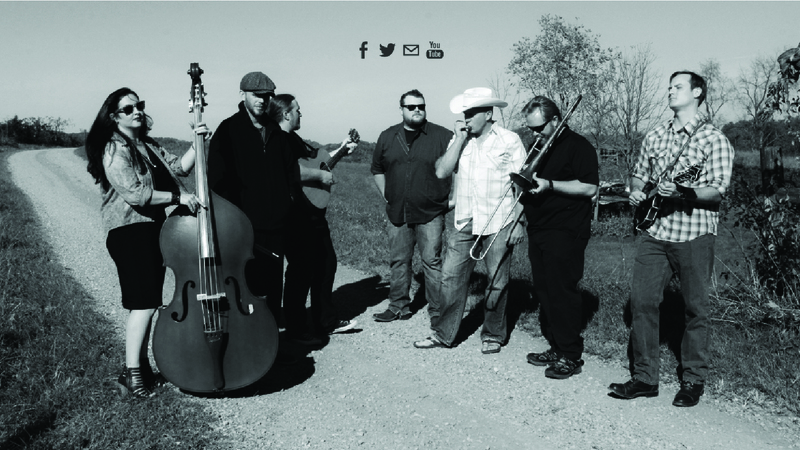 The band strives to appeal to a wide variety of music lovers. Their musical style encompasses original songs to timeless favorites by renowned artists in blue grass, rock, blues, country and folk ballads. Virginia Ground's music is influenced by the likes of Dylan, The Band, The Grateful Dead, Stevie Ray Vaughn, and Old Crow Medicine Show to name a few. Audiences explode with enthusiasm when the band performs songs with Appalachian interests. East Tennessee PBS presents "Victoria"